For thousands of years there has been an intimate relation between the mightiest plant on planet earth, the tree, and mankind. Especially for our celtic ancestors trees had a central role in their life. On the other hand, the circle has always been the symbol for the steady process of mind, life, death and rebirth. 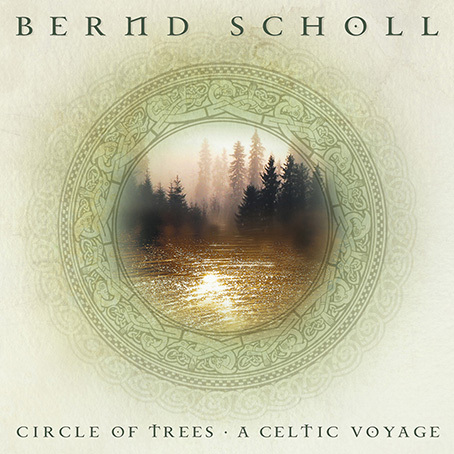 Inspired by the two phenomena "Tree" and "Circle", Bernd Scholl takes the listeners on his new album on a mystic and magical journey along the traces of the Celts. Still "Circle Of Trees" is not a traditional irish folk album, but an innovative blend of celtic elements with modern sound devices ­ a unique synthesis of ancient and modern culture. Grooving downtempo parts are combined with relaxed fluite melodies, and dense ambient soundscapes are based on driving Bodhhrán drums. Angelic voices alternate with art-rock influenced electric guitars motifs. Bernd Scholl arranges his tunes in an unusual and innovative way, thus creating a captivating magic. Once more Scholl presents himself as a masterful creator of sensually romantic musical moods. The tracks on "Circle Of Trees" are excitingly melodic, yet contemplative and relaxing. Celtic Chill-Out at its best!